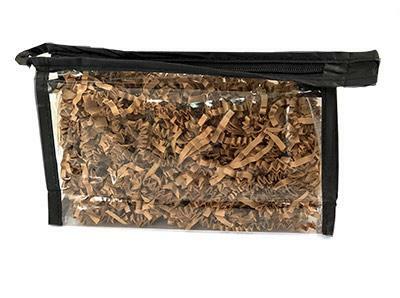 Nylon zipper goes through the top and extends beyond the sides. Has carry loop on other end. Quantities are limited at this price!